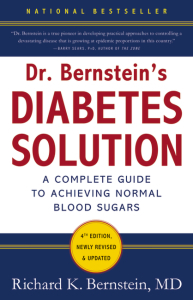 Achieving normal blood sugars for diabetics with the aid of a low carbohydrate diet and exercise is the focus of Dr. Bernstein’s Diabetes Solution, and The Diabetes Diet, Dr. Bernstein’s Low-Carbohydrate Solution. Whether you are newly diagnosed or a lifetime veteran of Type 1 or Type 2 Diabetes, Dr. Bernstein, a renowned and even revolutionary figure in diabetes treatment and diabetic himself, will show you how you could stop the roller-coaster swings in your blood sugars, steady your glucose levels, reduce your insulin intake and enjoy the same level of good health that people without diabetes have. Books by Richard K. Bernstein, M.D., F.A.C.E., F.A.C.N., F.A.C.C.W.S. 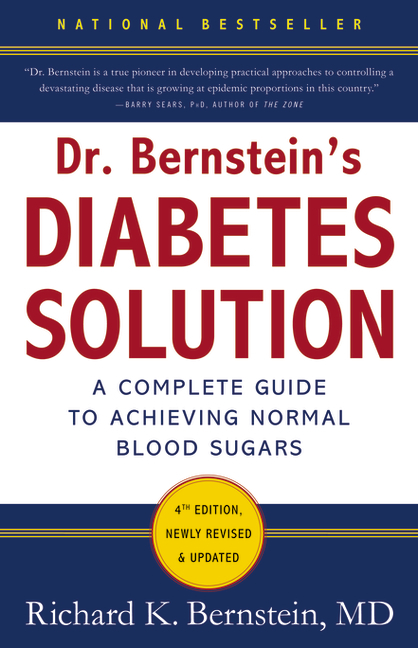 Check out Dr. Bernstein’s insights on Controlling Blood Sugars. Full chapters from the book are included on this site! 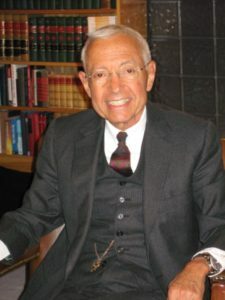 What Dr. Bernstein learned in healing himself – and what he passes along to his patients – is almost exactly the opposite of the prevailing orthodoxy in diabetes treatment. Now you can see for yourself whether Dr. Bernstein’s plan might make sense for you.